Add Garlic to your Favourite Herbs list. 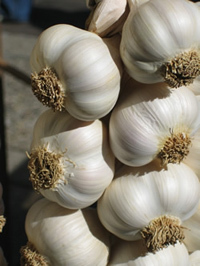 Herbosophy's Garlic is made from Vampire-Grade Allium sativum cloves without fillers, preservatives or additives and is freshly encapsulated for you at order or packaged as loose powder: the choice is yours. Garlic is traditionally considered by Herbalists to be hot and drying and has been a popular herb worldwide for culinary, cosmetic and health use. Love this full strength garlic as a medicinal and for adding to meals. Wards off the flu like a charm. I have tried various garlic supplements including kyolic and Herbosophy's garlic is the best quality garlic that I have found. This product is really top notch, even my husband comments on the strong authentic garlic smell. Garlic is a great daily supplement for general health, especially during colder weather. I now don't particularly trust garlic supplements that have been deodorised as I feel the more tampering that is done to food products, the less chance that they will resemble the original food. Well Herbosophy's garlic is certainly the real deal. Happy to have this product and so glad that it is organic. Fresh, pungent, and great for both medicinal and culinary purposes. Love it for garlic oil. Garlic from food store not always fresh. I open caps as they always have the pungent flavour required. Great product, high quality and fast service ! This product is truly fantastic! It's the best that I have come across by far, it absolutely smells amazing and it is so potent. Both my aunty and myself use it to keep our blood pressure down, however, it is also very beneficial in times of colds and the flu. Get my blood pressure down wonder it could blend in with any thing else. horseradish Zinc to kill the cold. the parcel was sent on time, well packed/ Capsules never break on little pressure, supplied in light but strong plastic bottle. Tbsp. oil. Stir fry beef in batches for 1 minute. covered for 2 minutes. Combine 1? Tbsp. Place rosemary and garlic in a 1 pint jar. place for at least 2 weeks before testing flavor. chicken skillet, over low heat, for 5 minutes. the skillet. Stir well and cook for 55 minutes. over moderately low heat for 20-30 minutes. off to chop the rosemary and garlic finely. potato slices in one layer on top of the foil. Brush again with the rosemary-garlic oil. and bake until they are lightly browned. egg and sugar mixture, stirring constantly. the back of a spoon, about 10 to 15 minutes. 2 lb wheel Brie cheese, or 4 small wheels (4 ? soft. Remove garlic and drain on paper towels. Brie and place on a baking sheet, cut side up. oven and place another sheet foil over it. into a ball. Let stand, covered, for 30 minutes. Roll ? 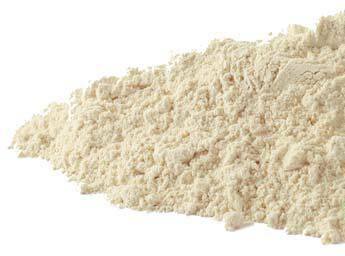 inch thick on lightly floured surface. Sprinkle with garlic; pat lightly into dough. Cut with 3-inch bone-shaped cookie cutter. 325F for 30 minutes or until browned and crisp. Cool on wire rack. Store in airtight containers. 5 minutes. Remove from heat and stir in cream. minutes; drain& refresh under cold water. the oil in a wok or deep skillet over high heat. and stir fry until hot, about a minute. overpower when eaten with the meat. running until the mayonnaise has emulsified. juice, if desired, to taste. bruschetta, with pasta or pizza. running drizzle in oil. Makes 2 cups. Process or blend until finely chopped. Serve on crackers or with pasta. thick. Add salt and pepper to taste, reheat. When hot, add white wine vinegar and serve. egg, spinach ,cheese, herbs, salt and pepper. med. low heat until top is set [2-3 minutes]. oil. Add meat and cook till brown and crumbly. can be refrigerated and cooked the next day. simmer for several minutes to make the sauce. and a curl of fresh parmesan cheese.